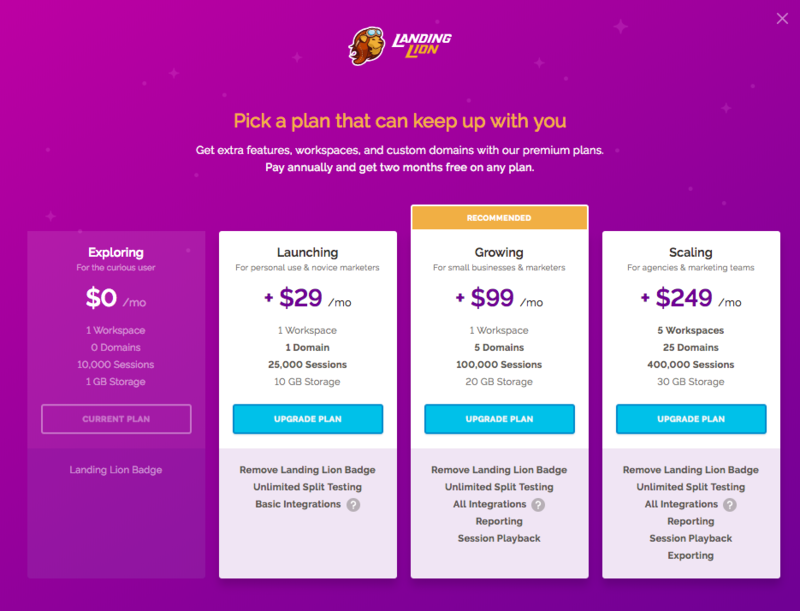 When your business grows to the point where you need to upgrade to the next subscription plan, add more domains, or add more workspaces, access your subscription details to get started. Click "Settings" in the main dropdown. 2. 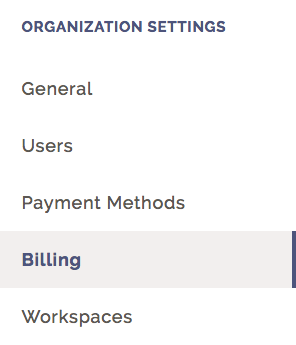 Under "Organization Settings", click "Billing". 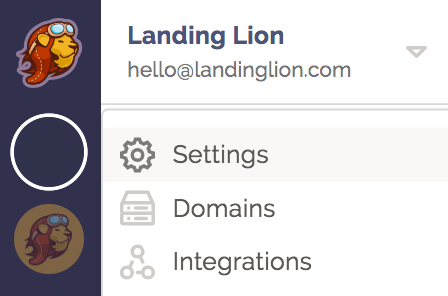 Here you can see your subscription information, add a domain and add a workspace. 1. 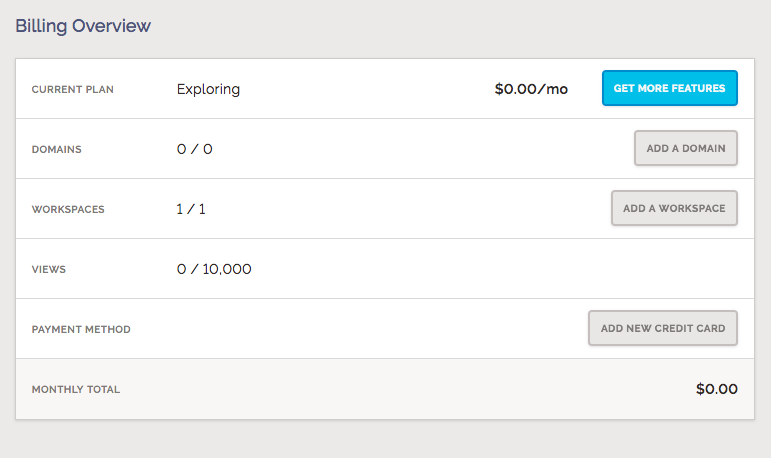 In your Billing Settings, click the “Get More Features” button next to your Current Plan. 2. Choose the billing plan that is most suitable for your needs. Different tiers offer different limits, i.e. amount of page views per month. You can also unlock different features on each plan, i.e. access to all integrations. 5. Select your payment schedule. ⚠️ NOTE: The amount due immediately on the day you upgrade may not match the full month's rate of your new subscription. 6. Confirm your payment method. If you haven't added a payment method yet, you'll be presented with a blank form. If you've already added a payment method, your default card will automatically appear on the form. 7. Click "Finish Upgrade" to finalize the subscription. To cancel your subscription, click the "Cancel Subscription" button in your billing settings. To reactivate your subscription, click the "Reactivate Subscription" button in your billing settings.